We are so excited that over 350 women from around the Moravian world are joining us this June in Winston-Salem! Moravian Women’s Conference attendees may still reserve their lodging using this customized online reservation system. Rooms are available at the Marriott Winston-Salem, which is connected to our conference hotel, the Embassy Suites, by an elevated, enclosed walkway. Please book your room soon as they are going fast! Remember, conference registration does NOT include hotel accommodations. You can find more information about accommodations and room costs on the Travel & Accommodations page of the conference website. The Moravian Women’s Conference to be held June 20-23, 2019 in Winston-Salem, NC, is a gathering hosted by the Northern and Southern Provinces of the Moravian Church in North America. The conference centers around a biblical theme and offers time for attendees to relax their bodies, refresh their spirits, and renew their commitment to God and to each other. With faith, love, and hope, women leave the conference with a new enthusiasm and commitment to serve God, each other, and the world. 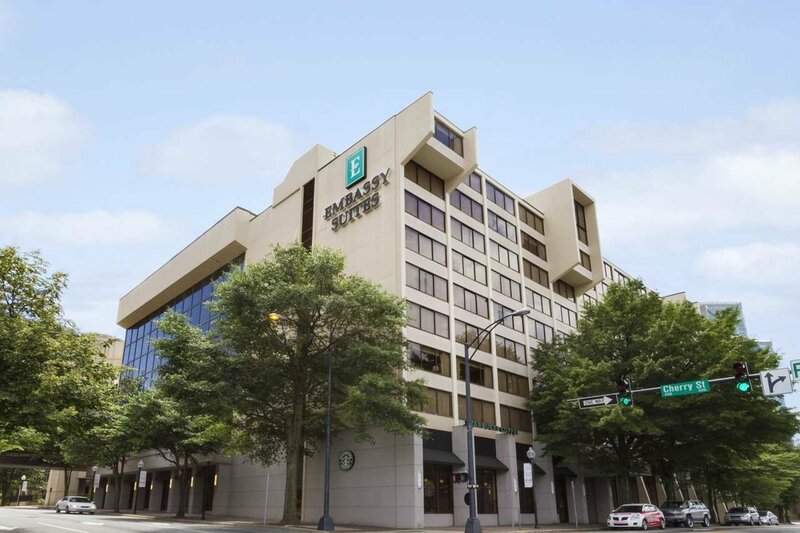 In the heart of downtown Winston-Salem, just steps away from the historic Moravian settlement of Salem, the Twin City Quarter (Embassy Suites/Marriott Winston-Salem and Convention Center) offers excellent accommodations and meeting space for the conference. Close to a variety of activities, including the Downtown Arts District, Fourth Street’s Restaurant Row, attractions, museums, shopping, colleges, universities, golf courses and wineries. Lodging Reservation Information Available Now! Beginning August 1, 2018, Moravian Women’s Conference attendees may now reserve their lodging using a customized online reservation system. Remember, conference registration does NOT include hotel accommodations. To make hotel reservations, you’ll need to call (long distance or international rates may apply) 336-724-2300 (tell them you’re with the Moravian Women’s Conference to get special rates) OR make reservations online using this customized link. You can find more information about accommodations and room costs on the Travel & Accommodations page of the conference website. Check to see if you are eligible for any Conference discounts and scholarships. Visit the Registration page of our website and scroll down to the Scholarship section. Register for the conference using this online form and paying with a credit card (transaction & convenience fees will apply). Or, download a printable registration form and mail it with your check. Take advantage of special rates and make reservations at the conference hotel (The Embassy Suites) if you’ll be staying there. Advise hotel of your roommate(s).